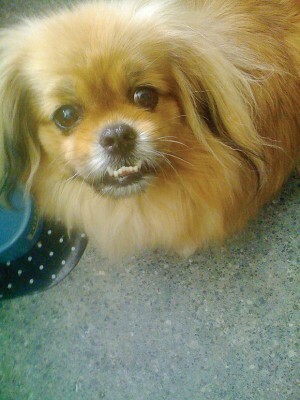 Regular readers of this column may recall my special needs Tibetan Spaniel, Torrey. He persists in living with degenerative brain disease, despite high-priced predictions to the contrary, rewarding my efforts as chef, chauffeur, dog pillow-fluffer, and bodily-function facilitator with regular grunts, occasional kisses, and the sporadic tail wag when I walk through the door. Because Torrey can’t see, it is my job to take him outside to the grass, give him a shove, and hopefully inspire him to the swift and satisfactory accomplishment of his duties. On a good day, he will return to the house under his own steam. Unfortunately, like an aging lothario or a Member of Congress, he often finds early enthusiasm giving way to creeping lethargy. Despite my pleas for focus on the task at hand, Torrey is easily distracted by the sound of a chirping bird, a seemingly-insurmountable blade of grass, or a particularly smelly spot that demands close attention (again, like Members of Congress). Forgetting his mission, he stops suddenly in place and remains still as a statue, indefinitely. Occasionally he tires of standing or is seized — as one often is — with the uncontrollable urge to lick something. And so he topples onto the grass where he settles into a groggy repose, affecting the slack-jawed, dazed look of a Victoria’s Secret model. From my kitchen window I watch him there, the breeze catching the fur on his ears, as he patiently awaits rescue. I’ve only forgotten him twice, and then only for 30 minutes or so, but he never seems worried. I’ve read that dogs have no sense of the passage of time, like medical office receptionists or telephone and cable installers. Still, it is heartwarming to observe his unquestioning confidence in the inevitability of my return, when I’ll surely scoop him up, towel dry his damp bits, and administer rewarding treats. I’ve been thinking lately that we all need someone to rescue us from time to time, but we rarely enjoy the luxury of such unwavering belief that help will arrive when required. Wouldn’t it be grand if — like Torrey — we always knew that rescue would most certainly come if we simply wait patiently? Children feel this way, turning to teachers, firemen and other heroes who indeed have their backs in times of emergency. Grownups who cannot count on the protection of a parent or teacher look to friends, family and partners to maintain a watchful eye. Those of us who live singly fear being left un-rescued and forgotten for months, no doubt devoured by the pets we once pampered. Fortunately, my absence would be noticed within a week, because my editor Mr. Stoneberg — irritated that I missed a deadline — would send his enforcer Aunt Helena to my door with a brick in her purse. Religious people have no such fear of being alone, having absolute faith that a higher power is constantly watching over them. I sometimes worry that the benevolent deity has misplaced my phone number, but it is comforting to think that He may still be generally aware of my area code. Perhaps He’ll call one day (if my line isn’t occupied by robocallers seeking to lower my PG&E bills, refinance my mortgage and optimize my Google business listing). I admire those who maintain a more direct connection to something greater, along with their unshakable belief that salvation is readily available without the need to rely on 911. At this time of year, we can celebrate faith, and promise to acknowledge the rescuers whenever we find them. In Torrey’s case, his vet Sally Kimsey has repeatedly rushed over on short notice to bring him back from the brink, despite hospitals and specialists pronouncing him a lost cause. He wouldn’t be here without her. Two years ago I started writing this column in an effort to reach out from my struggling retail store. As the storefront closed this January, and I feared losing touch with my customer/friends, it became a conduit and a lifeline. I rely upon the reactions — negative and positive — of those readers who stop me to discuss a column, or who email or post comments on the newspaper website or on my blog. They remind me that people like to laugh, though possibly not as much as they like to be scooped up, vigorously toweled off and handed a tasty treat. By indulging my attempts at humor, this column’s editor and readers have rescued me from a difficult year, and for that I am most grateful. My column will return to the Star in January, to be reprinted on Sundays in the Napa Valley Register. I promise to work hard to make it as silly as ever in the new, better, year to which we can all look forward after patient — and prolonged — anticipation. I was recently referred to a physician for advice on a lingering health problem. During the initial consultation, I discovered that this intelligent Stanford-trained specialist had the personality of an irate New York cabdriver and a bedside manner perfectly suited for a career interacting with laboratory animals in a 100 percent humanity-free research setting. Because my late father fit this precise description, I found the doctor’s irascibility both uncomfortably familiar and strangely reassuring, which may explain my preference for female doctors and my perpetually unmarried status. After instantly diagnosing me — as his colleagues had previously done — with whichever malady happened to be within his own medical specialty, he ordered some expensive tests, insulted me a few times as a deposit on future interactions, and — while I sat listening helplessly — began dictating his notes into a machine. “Patient is a pleasant, middle-aged, post-menopausal unmarried female who is experiencing [a list of symptoms] … and who has recently gained weight and is receiving insufficient exercise,” he permanently recorded for posterity. He continued describing our consultation in detail, touching on my failings as a patient and as a human being, and then — because this first version was for the referring doctor — he drew in his breath and started again. “Patient is a pleasant, middle-aged, post-menopausal unmarried female …” he repeated for my primary care physician, and “Patient is a pleasant, middle-aged, post-menopausal unmarried female …” he dictated once more, for the file. By the third go-round, I felt myself slipping further into middle age while becoming considerably less pleasant, suspecting that long-dormant symptoms of menopause might shortly be resurfacing. Inhaling deeply, I tried to remain calm. I was on a “happy thoughts” kick at the time, having recently read about a study suggesting that the secret to longevity lies in maintaining certain positive happy-go-lucky personality traits, which I was determined to adopt — or die trying. A group of researchers at Albert Einstein College of Medicine and Yeshiva University had closely studied 500 Ashkenazi Jews over the age of 95, and 700 of their genetically homogeneous offspring. They found that people who live longest tend to be outgoing, optimistic and easygoing, also enjoying laughter, strong social networks and active engagement in activities. In other words, researchers could not determine whether centenarians were always positively peppy or whether this peppiness suddenly struck them in later life, like baldness, forgetfulness or an appetite for dinner at 4 p.m. This could mean, for centenary-aspiring curmudgeons, that it is not too late to aggressively emulate outgoing, optimistic and easygoing personalities. Unfortunately, effecting this transformation is even more exhausting than it sounds. Sure, you may greet each sunrise with a happy smile — determined to remain sanguine until sunset — yet you’ll inevitably encounter a Starbucks cashier who repeatedly calls you “ma’am” or “dear,” or a Safeway clerk who calls out the obvious non-necessity of checking your identification for alcohol purchases. Or you’ll receive a telephone call from your mother the day before each holiday complaining in advance about a telephone call to her you may or may not make the following day. Which ultimately begs the question: Do I really want to live longer if I have to be outgoing, optimistic and easygoing, or will it just feel like I’ve lived forever? Do I honestly aspire to be one of those giddy older people featured in commercials thanking their children for letting them live independently (aka alone), armed with electronic devices to summon strangers for help should they accidentally topple over? Having no such children, I have long anticipated my dotage, when I can unleash my aggressions and leave tact on the bedside table alongside my teeth. I look forward to admonishing grown men to start dressing like adults and grown women to stop dressing like teenagers. I envision a rosy pink, Pepto-Bismol-filled future shoving my way through shopping malls on a scooter and exasperating airport security guards by accusing them of “getting fresh” as I shuffle sluggishly through metal detectors. It’s not that I would mind being a lovable old lady of the easygoing variety, but I fear this might be unachievable without the prolonged administration of appropriate mood-altering medications in significant doses. And for that, I’d have to consult another specialist.